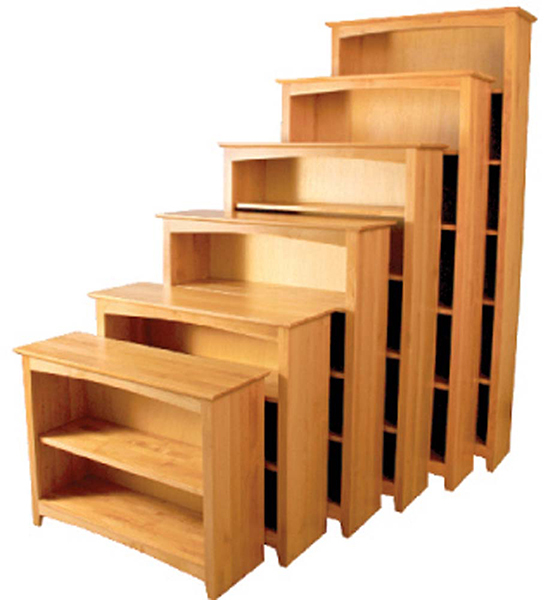 From Alder Shaker Bookcase Collection: Available 29, 36, 48, 60, 72, 84 inch heights. 72 and 84 inch bookcases have door option. Depth: 12 inches. Available unfinished, factory finished or custom finished. Contact retailer for details.